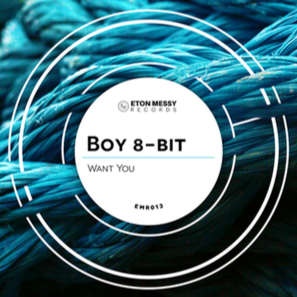 Boy 8-Bit returns to Eton Messy Records with a single titled ‘Want You’ featuring a remix by Mason. Debuting back in 2004, Boy 8-Bit aka David Morris has had a substantial career that includes an Essential Mix in 2010, being tapped to remix Florence and The Machine, La Roux, Armand Van Helden, Eric Prydz, and Bookashade, not to mention contributing music to video games such as Rockstar’s Grand Theft Auto and Midnight Club series. Dropping ‘Desirable’ on Eton Messy Records earlier this year, this next release marks Morris’ second piece of work on the label, which has also featured artists like The Golden Boy, Just Kiddin, Apres, and Walker & Royce. Sweeping effects and piercing piano chords lay the foundation of ‘Want You’ as stuttering vocal snippets join heady breakbeat percussion and rumbling bass. Animal Language founder Mason then adds his signature touch; stripping everything back whilst adding soulful chords, funky elements and added depth to his version. It’s out 8 September on Eton Messy Records.